President Trump stated that he has “ordered the Department of Homeland Security to create an office to serve American victims during his Joint Address to congress. The office is called VOICE – Victims of Immigration Crime Engagement. Any victim of crime deserves acknowledgement and sympathy, and crime is an issue that must be taken seriously. However, the emphasis on victims of immigrant crimes is problematic. It only serves to scapegoat and demonize immigrants even though the data clearly shows that immigrants, including unauthorized immigrants, are less likely than native-born Americans to commit crimes. The creation of this office had been included in the interior enforcement Executive Order that was signed in January, and in the Department of Homeland Security (DHS) memo implementing the Executive Order. According to the memo, this office is to be a “programmatic liaison between ICE and the known victims of crime committed by removable aliens,” and will ensure that victims are provided information about the offender such as immigration status and custody status. In addition to creating the VOICE office, the administration has ordered monthly public reports on immigrants who have committed crimes and any local jurisdictions that release them from custody. 1. Efforts like VOICE may create a climate of discrimination, suspicion, and hatred against all immigrants, and will embolden anti-immigrant groups. “It will lead to more harassment, more hate crimes, more bullying, and more discrimination against anybody who looks like he may be an immigrant,” stated Frank Sharry of America’s Voice. 2. The money going to VOICE could be better spent to help victims. In response to the President’s announcement, the National Center for the Victims of Crime said that VOICE is a “poor use of scarce resources for crime victims and may actually block victims from exercising their rights.” They rightly point out that Trump has promised severe funding cuts to existing offices within the Department of Justice (DOJ) – like the Office for Victims of Crime and the Office on Violence Against Women – with proven records of helping victims. 3. This administration’s policies interfere with the ability of local police to fight crime. Trump has threated to take DOJ funding away from law enforcement agencies that have “sanctuary” policies intended to allow immigrant victims to come forward and report crimes without fear of deportation. Police authorities have stated that enforcing immigration laws makes it harder for them to maintain good community relations and steers scare resources away from crime fighting. 4. Trump’s anti-immigrant polices may interfere with efforts to prosecute criminals and hold them accountable. For example, U visas are for victims of crime who have suffered substantial mental or physical abuse and are willing to assist law enforcement in the investigation or prosecution of the crime. Since the election, immigrants and advocates have been concerned about the future of the U visa. While eliminating the visa category would be difficult, the Trump administration could slow processing or issue far fewer visas. 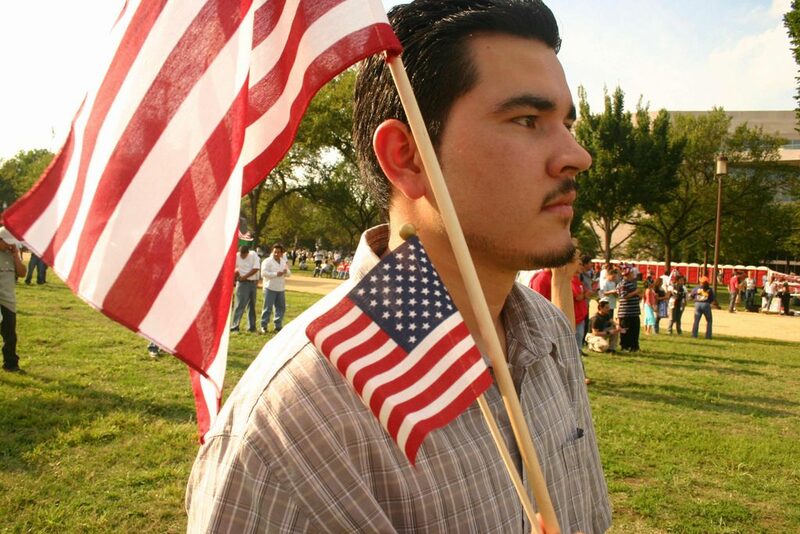 Regardless, immigrant victims may be far more hesitant to come forward and report crimes. Immigrants contribute a great deal to this country. The fact that some have committed serious crimes is reprehensible, but it is one small piece of a complex story. To counter VOICE, Rep. Jared Polis launched a database intended to tell positive stories about immigrants called SAINT – Saved by American Immigrants National Taskforce. The purpose is to collect stories of immigrants who have performed heroic or lifesaving acts. In this environment, telling positive stories about immigrant contributions is more important than ever.